I love science and there is nothing better than kinda working out something for yourself. My first ever contact with the matter of latent heat was when I discovered the Indian dish of lentil Dahl. I became aware of an issue when my first tasting of hot lentils turned the roof of my mouth into a huge blister that could carry enough fluid to keep a camel alive for a crossing of the Sahara. When I researched this matter I found that learned scientists were already on the job. If you’re a lentil gobbler check out the truth here. So, science was ahead of me with lentils. During the night I often get up for a cup of tea and a think. In the kitchen of my temporary English home there are silver fish,(pictured above). They are just so beautiful. Whenever I come across some little bug and take the time to examine their complexity and the sheer audacity of their marvel, I always think of Walt Whitman’s saying that he saw “nothing but miracles”. By the way, Walt was an Indie author and self published his first books. So, although these little miracles are plentiful in my night kitchen, I’m not too sure about their little “borrowers” routine in the sugar bowl. Chemical pesticides and the like are a no no but my scientific brain at once told me that there is a solution. 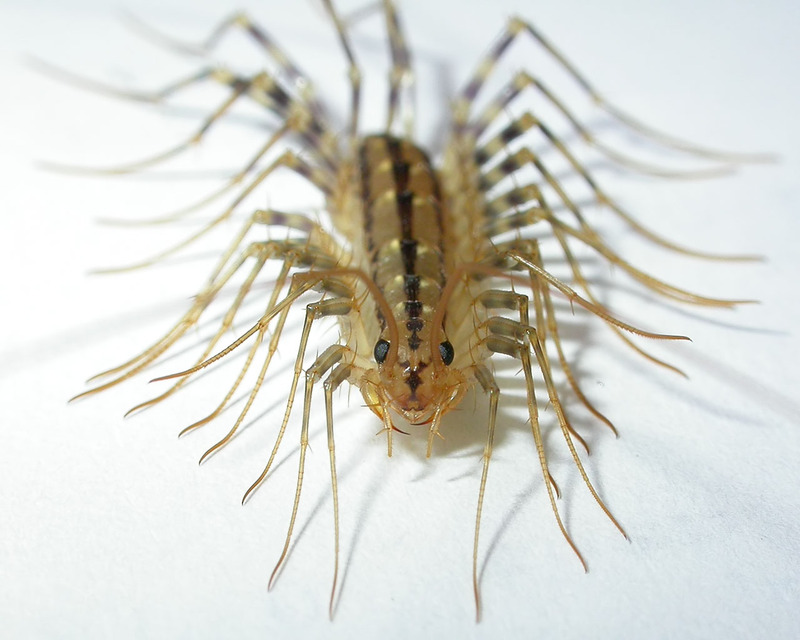 I do not have any in my French kitchen but I do have my huge huggy friends, the house centipedes. Guess what they eat? I bet you need a license to import a few. It could be the grey squirrel all over again. Oh no – big trouble in the world of never ending footballfootball footballfootballfootball. Firstly the English were not allowed to play wearing poppies but luckily Prince William and the Prime Minister intervened. I always find that the threat of the Tower of London and Beefeaters’ pikes soon deals with all those foreign johnnies. But even worse is that Couldn’t Care less Carlos Tevez has refused to play, picked up the ball and has gone home to his mum in Argentina. Now, only one WOMAN OF IRON knew how to deal with Argentina when they wouldn’t behave sensibly. Maggie – they won’t give us our ball back! Emma thinx: More creatures live on crumbs than live on loaves. This entry was posted in Argentina, Carlos Tevez, Football, house centiped Emma Calin, house centipedes, latent heat, lentils, Prince William, silver fish by emmacalin. Bookmark the permalink. Ha, ha. I thought the bit about the poppies was English-speak for some type of soccer equipment the Prince intervened to allow the players to wear for their own safety, but no, you're really talking about poppy flowers.